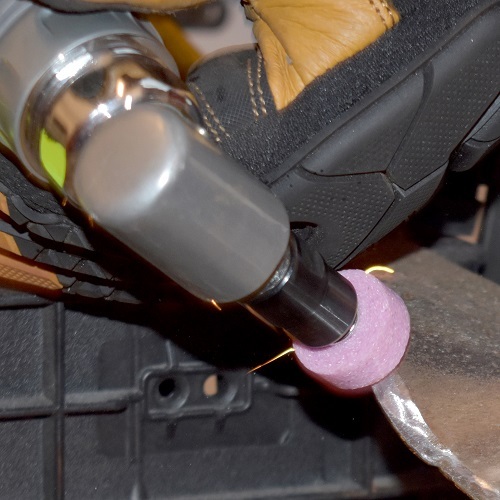 The Campbell Hausfeld Get Stuff Done Angle Grinder (XT251000) boasts the power to handle grinding, porting, smoothing, polishing and deburring while making it easy to reach tight spaces. 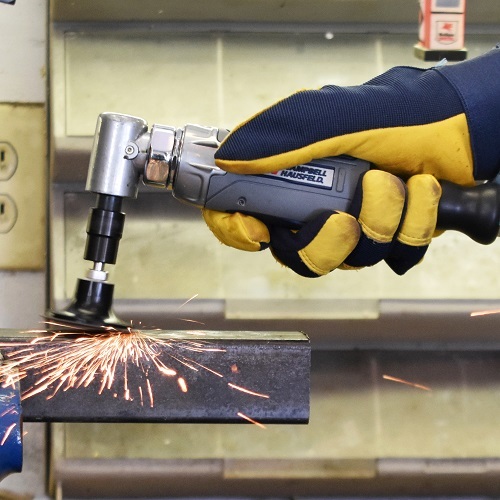 With a 20,000 free speed RPM and a .2 horsepower motor, the XT251000 moves material quickly and efficiently. An easy valve adjustment located on the side of the housing regulates air flow for whatever output you need to get stuff done! 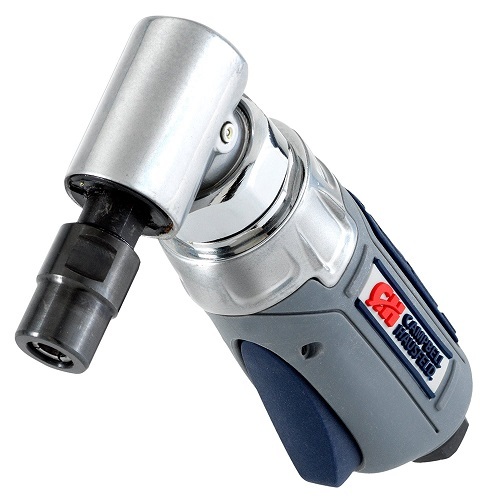 The ¼ inch collet makes this angle die grinder compatible with most standard bits. 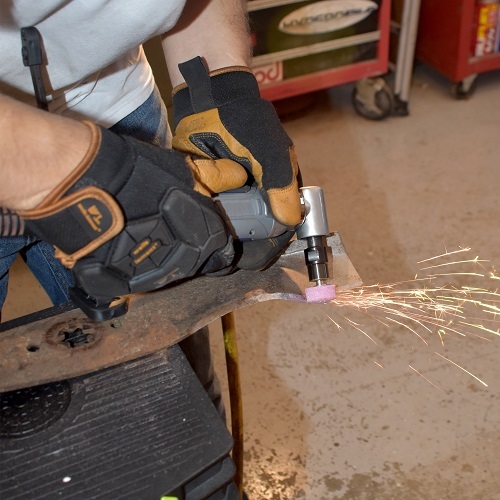 This die grinder boasts a lightweight composite design (1.1 lbs. ), and a rubberized, comfort grip for a user friendly experience. Average air consumption of 2.8 CFM @ 90 PSI. Maximum pressure of 90 PSI. Air inlet size of ¼ inch NPT (F). 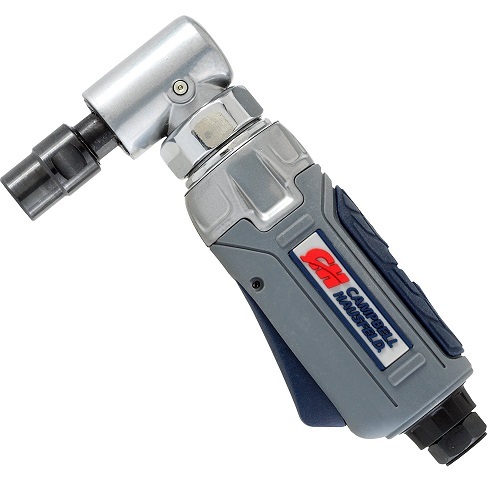 Minimum hose size of 3/8 inch. An air compressor with a tank gallon capacity of 20 gallons or larger is recommended. Get Stuff Done faster and easier with Campbell Hausfeld – The Air Power Expert.